Let us tell you one of the sweetest stories we've come across in the past few days. Veda and Pratik met at an airport gate after a design conference. After a long conversation they noticed how their eyes shined a little brighter when they spoke about making a difference to the society. Being an old volunteer at Bal Asha, an NGO that works with local authorities to find a way to unite abandoned children with their biological parents, she invited him to visit the home. He came and instantly fell in love with the children there. Since the last few months, Pratik has been helping them confidently communicate their cause through a brand strategy exercise. 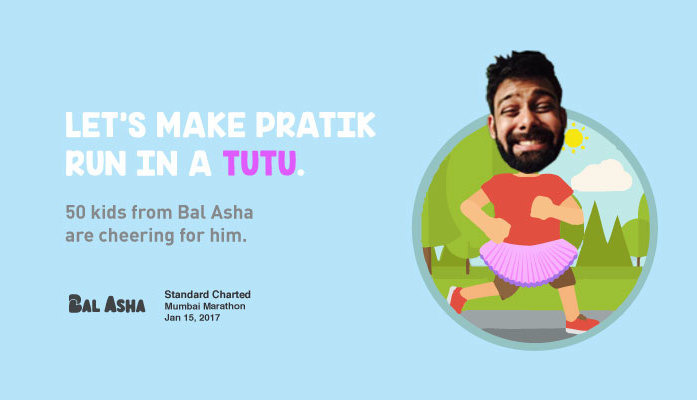 They didn’t just make him run, they made him run in style - the team got in touch with Swapnil Shinde, a renowned designer to design the tutu for Pratik. 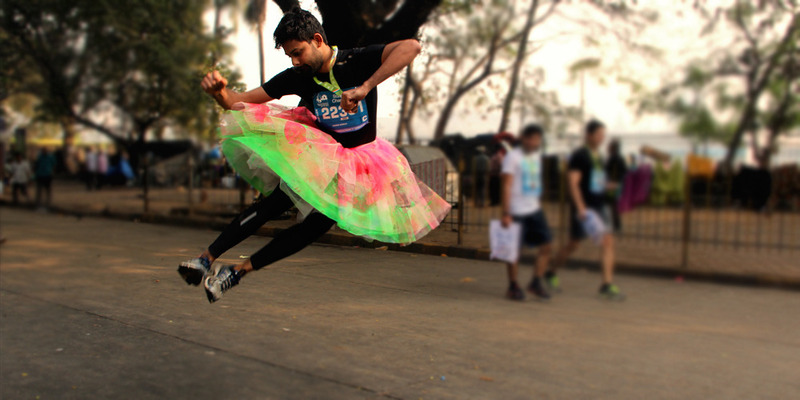 On the day of the marathon, Pratik put on his designer tutu and started raising funds for Bal Asha, one km at a time. “I reached the venue extremely late. I was the only one crossing the start line and most people had already finished half the Sea Link route. So the first 5 kms were fairly lonely and dark! The response their fundraiser received was so encouraging that they’re already full of ideas for the coming year’s marathon. It’s great to see youngsters making a difference with a twist. If your company wants to discuss an idea that can create a meaningful impact, let's talk! Write to info@ketto.org or contact us on Facebook & Twitter.